Whilst on my journey to learn to swim so I could take part in my first ever triathlon, I came across Swim Dem Crew. They ended up playing a pretty crucial role in my journey; it was with them that I first entered a 50m pool and a pool with a deep end! Watching their journey inspired me on mine and I wanted to share some of that with you! Recent research from the Amateur Swimming Association found that one in five adults couldn’t swim. 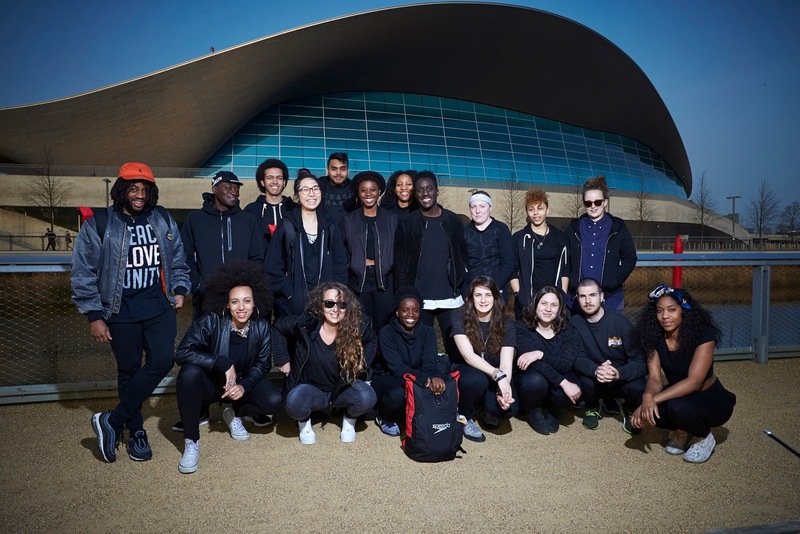 With this insight, Run Dem Crew lynchpin Charlie Dark, and ex-Blue Peter presenter Andy Akinwolere, introduced Swim Dem Crew (based mainly in East London) – an exciting new cultural youth movement launched in January 2015 that set out to get more young people into the pool and overcome their fears of swimming – supported by Speedo. Katherine: When I was younger, at my school in France, we were forced to go to swimming “lessons”, which were part of compulsory PE classes. Sadly, these weren’t really classes, but more like one-hour slots where a teacher would force kids to jump into the pool and yell at them while they have to swim X number of lengths. 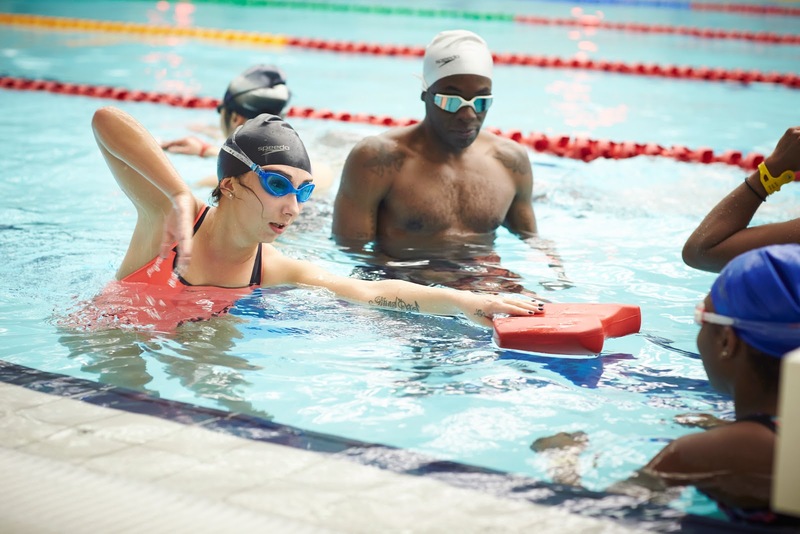 I had never had a swimming lesson in my life even though my parents considered I could swim because I knew some sort of underwater breaststroke I kind of picked up from my dad. Everyone thought I looked pro because I would dip my head in the water, even though in reality, I didn’t know how to swim while keeping my head above water. The irony. I hated the swimming sessions so much because I was too slow since I couldn’t swim freestyle, and was too petrified in the water under the pressure that I ended up always hyperventilating. It got so bad, that I ended up getting a medical certificate to be excused from the swimming sessions. Nearly two years ago, I met my now boyfriend who had swum competitively for over ten years. When we went to the pool together for the first time, he taught me that my breaststroke wasn’t actually a breaststroke. I also tried for the hundredth time to breathe on the side and do some front crawl, but in vain. 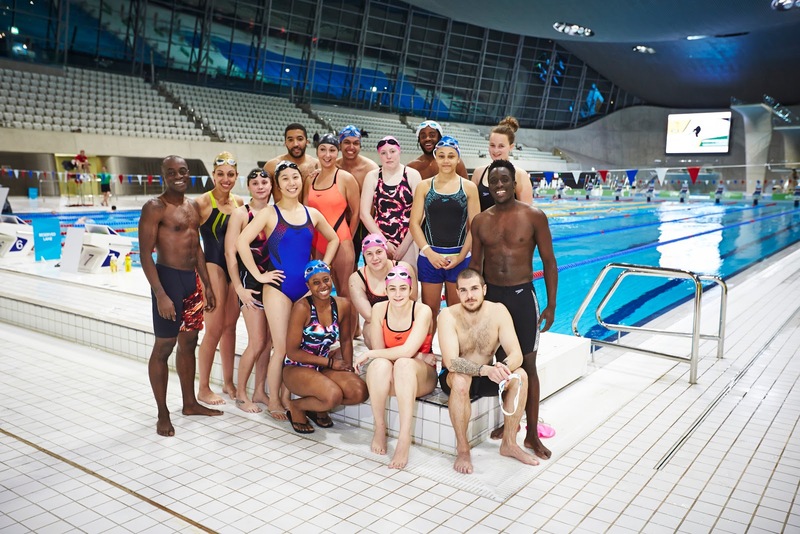 A few weeks later, I ran into a post on Facebook about a swim challenge with Swim Dem Crew, because I had some friends who were part of Swim Dem and Run Dem. I thought, I got all sort of injuries lately from long distance running, and I really want to prove to myself and to the ones I love that I know how to swim, so that’s why I emailed to sign up. Even though I never, ever thought I would actually have the strength to make it from 0m front crawl to one mile in open water in the space of a few months, I said to myself, if not today, then when? Through the following five months, I learned a lot from the people around me, the coaches, the people making Swim Dem (Nat, Peigh, Danny & the rest of the crew), the Swim Challenge Crew (every single one of you), and Matt from the Stoke Newington Reservoir. I never realised how a journey like this about learning how to swim would turn out to be one of the most incredible human adventures I have experienced. There were difficult times, like when I had a full-blown anxiety attack in the middle of the pool when trying to do timed distances front crawl at the beginning, and shed my first tears in the water. The time when I didn’t even manage to swim in the cold water of the Stoke Newington reservoir and had to get dragged out by a lifeguard on a kayak during my first open water swim. But I also remember how after losing faith completely, I went back to the same reservoir a couple of days later, and jumped in and just made myself feel at home in the water. Then there were those times when the people from Swim Challenge were there for me. They showed that they believed in me, and that we were in something huge together, but that most importantly, we, as a team, were bigger than the challenge itself. I saw people give up. I saw people try even harder and prove that giving up was not a way out. People don’t realise how hard this was at times, but regardless, sticking together and being there for each other, we made all of our goals attainable, and at the end of the day, I managed to swim my mile in the open water swim in the Salford Quays, Manchester. I have still been swimming since. I even taught my parents some technique drills coach Harley taught me, and I’ve been feeling much more eager to go swimming with my boyfriend too, and he was even really jealous he wasn’t able to join me in the water on the day of my open water mile – all he needs now is to get a wetsuit. Doing a full triathlon has now become a new attainable goal for me, and hopefully I’ll be doing that at some point too. Another goal would be to enter some open water swimming event with my boyfriend in the future, if only the wetsuits weren’t so pricey/out of reach for students… But until then, I’ve definitely been swimming much more often, and it feels amazing to be able to work on technique and swim proudly the front crawl in front of my friends when on holiday. So this is to all the people out there who were like me at this point just seven months ago: if you haven’t given it a proper shot, you don’t have the right to shoot it down, so go jump in the water, and stick with it, you won’t regret it. What a lovely motivational post – just what I needed as a pick me up.